There is no question in my mind that debt can and does put a major strain on a marriage. I often hear from people considering marriage with worries about how their future spouse’s debt will impact them, or from a fiancé struggling with debt who wonders whether he should file for bankruptcy before walking down the aisle, to keep his new spouse from taking on responsibility for his debts. Like many things in bankruptcy, the advice is not one size fits all. But it is important to understand that if you marry someone who is riddled with debt, you do NOT automatically take on their debt. In order to take on responsibility for someone else’s debt, be it a friend, a colleague, or even a spouse, you must actually sign a document like a promissory note or a personal guaranty. There is nothing in any marriage vow that automatically binds someone to the debts of their new husband or wife. Further, your credit report is yours and yours alone. A credit report does not note that a spouse has a significant amount of debt. That’s the simple part. The fact is that owning assets with someone who has significant outstanding debts can have an impact on you. If you own a house jointly with your spouse and one of you has significant debts, a lender seeking to collect could put a lien on the house. Even if the lender is unable to sell the property out from under you do to a homestead and/or tenancy by the entirety, the debt may have to be satisfied when you want to sell the property or when you want refinance the mortgage. There may also be good reason to consider an impending marriage as a time to at least review your options with regard to filing for bankruptcy. Let’s say Amanda has $100,000 of dischargeable credit card debt, no kids, no house, a car with a loan balance and income of $50,000 per year. Unmarried Amanda (at least in Massachusetts), will qualify for a Chapter 7 bankruptcy and, at least based on the asset situations described, may be a very good candidate for Chapter 7. Now let’s say Amanda marries Alex. Alex has no debt, no kids, no house, a car with no loan balance and income of $40,000 per year. While Alex has not inherited or otherwise married into Amanda’s debt, Alex has complicated Amanda’s ability to discharge her debt via Chapter 7. When we review Amanda’s debt situation, we now are required by the Means Test to consider Amanda’s spouse’s income along with Amanda. Accordingly, the couple now has a family income of $90,000 which puts the family well above the median income for a household of two in Massachusetts, and thus Amanda will need to consider a Chapter 13 bankruptcy in order to discharge her debts. Put simply, the family is considered to have the “means” to pay some of their debt back. In this situation, Chapter 13, while not being in her interest, is her only option in Bankruptcy. Now let’s change the situation a bit. Say Amanda still has $100,000 of dischargeable credit card debt, no kids, no house and a car with a loan balance, but has $75,000 of annual income. Let’s also say that Alex still has no debt, no house, a car with no loan balance and $40,000 of annual income, but let’s say that Alex comes into the marriage with four children from a prior marriage that will live with the family. In this situation Amanda does not qualify for Chapter 7 bankruptcy prior to the marriage based on her individual income being greater than the median income for a household of one. After the marriage we will be considering the family income and the household size will be six. The combined family income of $115,000 is now below the median income in Massachusetts for a family of six, and thus Amanda will qualify for a Chapter 7 bankruptcy instead of being forced into a Chapter 13 case. Similar issues could easily arise for whom a Chapter 13 case is the better option but, perhaps, are unable to propose a viable Chapter 13 plan due to income limitations. The important less here is to understand that while marriage does not automatically cause a non-debtor spouse to take on debts, marriage does have a strong impact on the means test and other areas within a personal bankruptcy case. 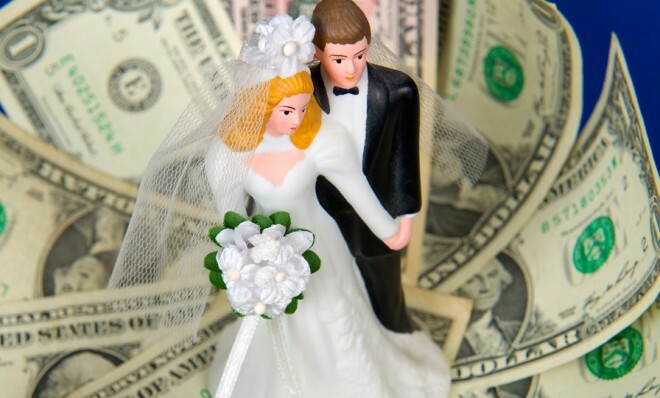 If you are getting married and either you or your fiancé has significant debts, you should consult with an experienced and qualified bankruptcy attorney immediately. Call the Law Offices of James Wingfield at 508-797-0200, visit the contact page of our website or fill out the form below to schedule a consultation today.